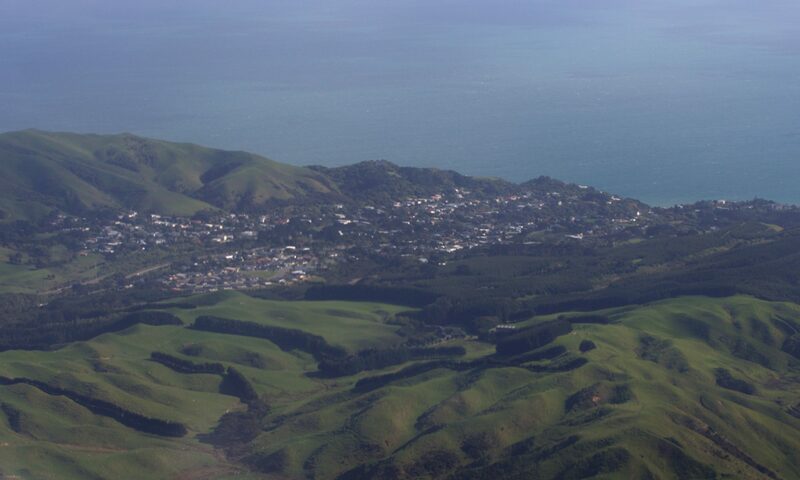 We had an interesting session this afternoon with coastal researchers, Jim Dahm and Bronwen Gibberd, who are working for Porirua City Council to get information about coastal hazards and erosion, and starting to prepare long-term plans to prevent them getting worse. We had a small turnout (about 10 locals), but they were mostly people who had lived at the beach for many years and could tell the researchers a lot about the beach and how it has changed over the decades. Hard barriers, such as sea walls, are no longer favoured for protection because, while they protect what’s behind them, they cause problems with the beach in front. Jim and Bronwen are very interested in finding out as much as they can about how the beach has changed in the past 30–40 years, and would like to hear from people who have information about that. They are particularly interested in getting photos of the beach — it doesn’t matter if they are family snapshots or home movies, as long as they show parts of the beach. If you have any information that might be useful for them to get a clearer picture of how Pukerua Bay beach has changed, you can contact them through coastal.hazards@poriruacity.govt.nz. Today’s workshop was the first of several. They will be back in about the middle of September to talk about the things the council will have to look at over the long-term (50–100 years) to mitigate the effects of storms, erosion and sea level rise. Keep an eye out for the publicity.